Mufulira has been awarded another 65 kilometers of township roads under the Zambia Township Roads project. AVIC International has been selected to execute the project within 24 months. The project is expected to kick off in mid-September with Butondo road taking seven kilometers plus installation of modern traffic lights at the junction of Butondo and Buntungwa roads. The road is also expected to have street lights installed and proper drainages to enable smooth flow of water in the rainy season. Speaking during the inspection of the site, Minister of Transport, Brian Mushimba who is also Kantanshi PF Member of Parliament, expressed great happiness that his constituency was getting a share of development through road rehabilitation. “I would like to thank President Edgar Lungu for looking into our plight and giving us township roads. The roads will give the area a much needed facelift. “We urge the contractor to employ the local people as this is in line with the mandate of the government of empowering people at the grassroots,” he said. Also speaking during the inspection was the Mayor of Mufulira Gift Mushinge. 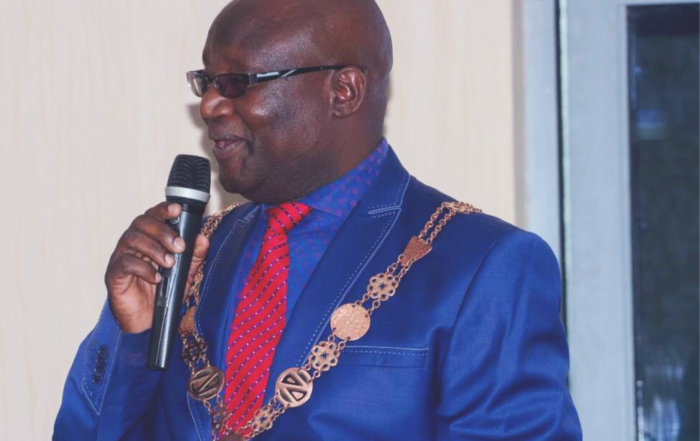 The Mayor urged the contractor to expedite the road works and consider sub-contracting the local contractors during the rehabilitation process. “I have a lot of confidence that AVIC will finish the project on time especially that they are a big company. My appeal is that they should give first priority to our local contractors when subcontracting so that our local people can gain employment.” Dr. Mushinge said. And Project Consultant, Engineer Michael Perekamoyo assured the delegation that the contractor had already started mobilizing and that the road works would start immediately after identification of service lines which were on the proposed road to be worked on.